The Effect of Exercise on Telomere Lengths. Telomere lengths—- the biological clock of aging…. Several research studies have revealed that man could have a maximum lifespan of 125 years. Our health declines long before this maximum life span due to different factors. Several peer-view publications have evaluated the fact that decline in health is mainly due to the gradual shortening of telomeres. 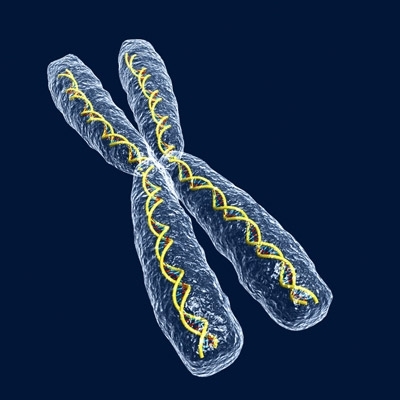 Telomeres are the structural caps of chromosomes that shortened with each cell division. This gradual shortening of the telomeres is the sign of cell death, after about 70 to 80 cell divisions. Telomerase, the immortality enzyme, prevents shortening of the telomere by adding bases to the ends of telomere after cell replication. Telomerase activation in the cell has significant medical application. Studies have shown that telomeres length in human cell are the markers of many degenerative disease including, arthritis, diabetes, hypertension and cancer. Precancerous lesions, such as ductal carcinoma in situ for breast cancer, and prostatic and cervical intraepithelial neoplasias, have been shown to have critically shortened telomeres in situ(Meeker AK, et al. 2004). It has been revealed from several researches that telomeres loss is low in the blood samples of athletes, professional runners and people engaged in regular exercise in them. Physical exercise has an evident effect on the shortening of telomere, and so have a significant anti aging role. Different factors are commonly associated with telomere shortening and telomerase activation. Lifestyle changes and exercise can help in reducing telomere shortening. Researchers have evaluated the fact that telomeres shortened less quickly in the immune system of people having a history of endurance exercise training. Physical exercise training of professional athletes leads to the activation of telomerase enzyme, which reduces telomere shortening. Regular exercise can reduce the telomere shortening in leukocytes of the athlete to decrease the risk of infections and diseases. It has been shown that people who have active lifestyles have the telomere lengths of someone 10 or more years younger to his or her age. This also explains the association of sedentary lifestyle with age-related diseases. In short, keep those telomeres long. Exercise doesn’t just keep your heart healthy. It just may be the secret to a longer life. This entry was posted in Anti-Aging. Bookmark the permalink.